Do you love pickles? 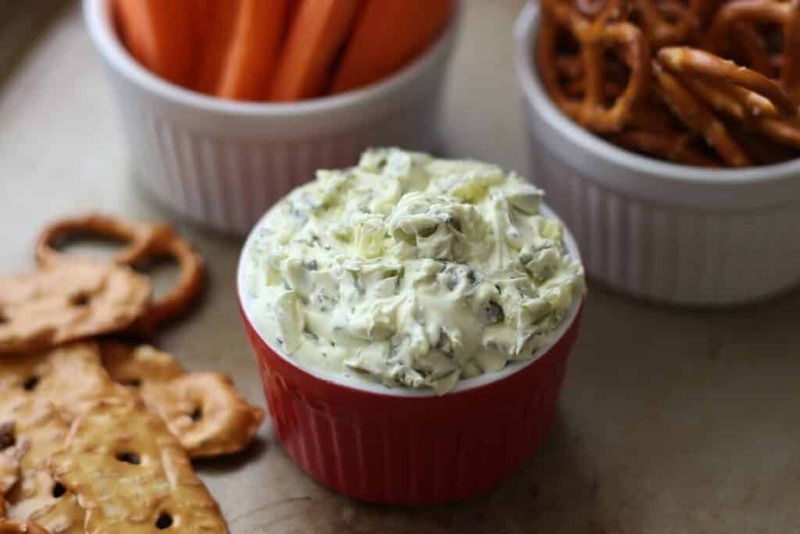 If so, then this Dill Pickle Dip is especially for you. 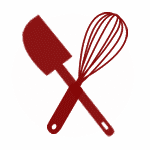 A couple years ago, I was chatting with my friend Rebecca and she told me that she had a recipe for me to try. She prefaced that with the question, “Do you like pickles?” Well, yes. As a matter of fact, I do like pickles. I’m not sure I would have called myself a serious pickle fan before tasting this dip, but clearly I have become one. 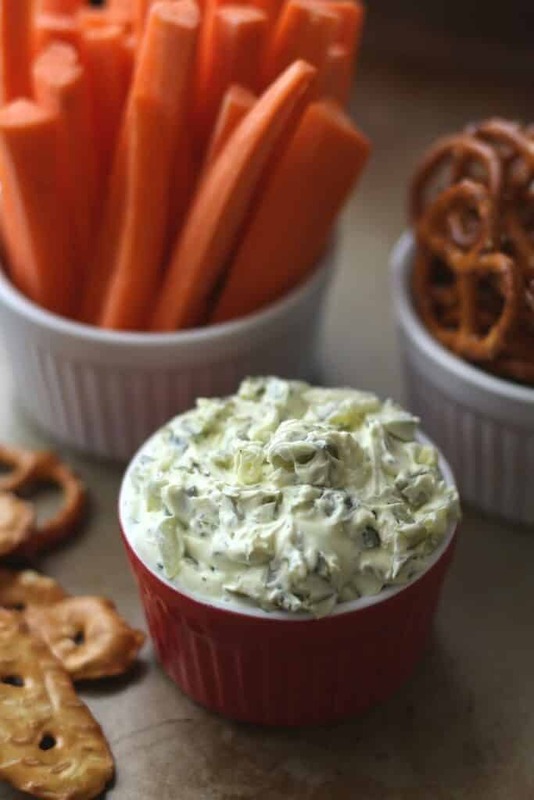 Rebecca’s Dill Pickle Dip is for serious pickle lovers. I like this dip so much, it has replaced the usual ranch dip for our afternoon snacking. I’ve dipped hundreds of carrot sticks into this deliciousness over the past couple of years and I like it just as much now as I did the first time I made it. I serve this with crackers, carrots, chips, and pretzels. 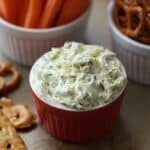 Dill Pickle Dip is fantastic on bagels and burgers as well! « FREE first month of The MightyFix! How far in advance can you make this? How long will it keep? It should keep nicely in the refrigerator for a day or two. It looks delicious! I am going to have to make this this week!